Jadick was a tough Philadelphia lightweight/Jr. welterweight who was basically a life-long journeyman. He first gained a measure of prominence in 1929 by knocking out the very tough perennial contender with the fascinating name of King Tut in 7. This was a bit of an aberration when you consider that in over 130 career bouts Jadick only had 9 kayos! He followed up his victory over Tut by again defeating him by 10 round decision in 1930. He closed 1930 by losing to former featherweight champion & then current Jr. Lightweight champion Benny Bass (L-10). Two years later, two months after being kayoed in six by Tony Herrera, he was somehow given a Jr. Welter title shot against the great Tony Canzoneri. Astonishingly, he won the title (W-10) & followed it up with another ten round decision in July of '32. Both bouts were held in Jadick's home town of Philadelphia. I don't know for sure, but I have to suspect that those two bouts involved Philly's well earned rep for home town decisions ... It's hard to believe that this guy could honestly beat an all-time great in his prime like Canzoneri. (Canzoneri did beat Jadick in 1936.) Jadick closed out the year with a defense against Lew Raymond, which resulted in one of his rare kayoes (KO-5). Three months later, on Feb. 20, 1933, he lost his crown to Battling Shaw (L-10). Even though Jadick fought on for four more years his career devolved into being a mere stepping stone for other fighters -- losing more often than not. His last moment in the fistic sun was a 10 round decision over the young future welterweight champion, Fritzie Zivic in 1935. 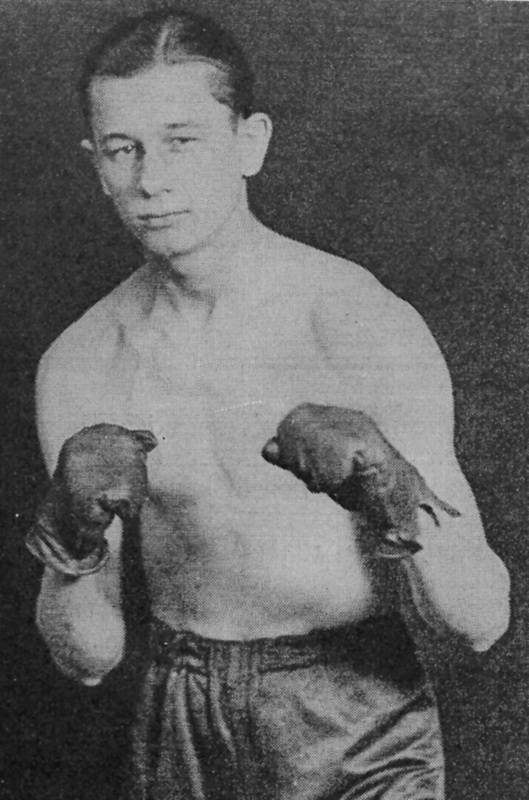 Zivic avenged the loss with a brutal sixth round kayo in 1937. After losing all seven of his fights that year Jadick retired.